Holds up to 54 firearms! Firearms are expensive. 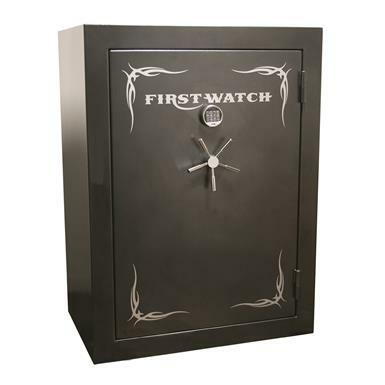 Keep 'em safe from kids and unwanted guests with this First Watch® Blue Ridge Electronic 54-gun Safe. 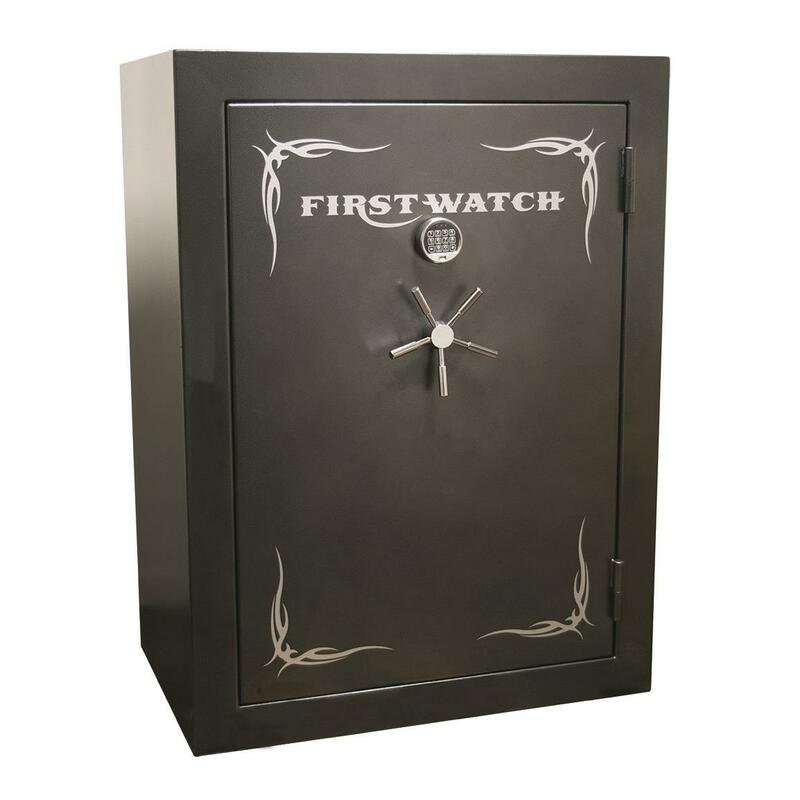 Heavy-duty Gun Safe is constructed from reinforced steel and features a 4-way locking system with 7-live action bolts and 4 stationary bolts. Plus, it's fire-resistant with a rating of 1,400°F. for up to 45 minutes. For maximum storage and organization, the First Watch® Blue Ridge Electronic 54-gun Safe comes equipped with height-adjustable shelves and an 18-pouch organizer for chokes, mags and other hunting accessories. It also holds up to 54 firearms. Includes plastic barrel rest kit. Exterior Dimensions: 44"w. x 29"d. x 59"h.
Interior Dimensions: 41"w. 25.5"d. x 56"h.